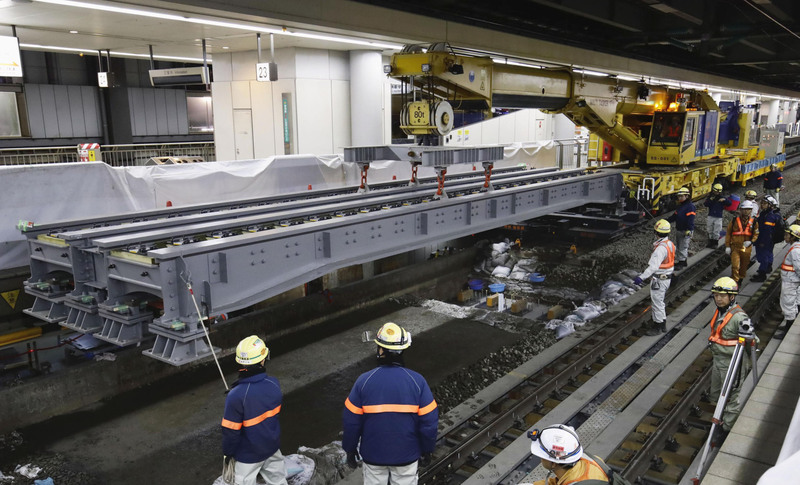 A former official of a major contractor under arrest for his alleged involvement in rigging bids for work on the Tokyo-Osaka maglev project has denied the allegations, sources said Saturday. Takashi Okawa, former managing director of Taisei Corp., told Tokyo prosecutors after his arrest on Friday that he was “not in the environment to rig bids with other major construction companies” because the sales division he belonged to was not able to estimate working costs on its own, the sources said. 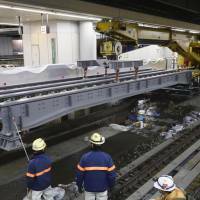 Okawa, 67, was involved in the project for the magnetically levitated train for over a decade at Taisei. He has admitted to meeting with officials from rivals Kajima Corp., Obayashi Corp. and Shimizu Corp. to exchange information on the project. But he also insists he was not in a position to negotiate with them on fixing prices for the bids because accurate calculations by specialists in the company would have been needed to estimate the cost of the work, the sources said. The prosecutors believe Okawa was able to rig bids with the other contractors because he had over 10 years of experience as an influential senior officer at Taisei. Also arrested Friday was Ichiro Osawa, a 60-year-old division manager at Kajima. Prosecutors allege that both Okawa and Osawa broke antitrust regulations by conspiring to predetermine the winners of maglev orders tendered by Central Japan Railway Co. (JR Tokai). The government provided an unsolicited ¥3 trillion ($28 billion) of the ¥9 trillion maglev project, which will allow high-speed trains to make the roughly 440-km trip from Tokyo to Osaka in around an hour instead of 2½ hours. Operations between Tokyo and Nagoya are scheduled to begin in 2027. Bid-rigging, maglev, Kajima Corp., Taisei Corp.